Expectations are high regarding the nature of electioneering in Delta State as the November 18 date for open campaigns for the 2019 general elections draw near. The areas of concentration for most voters are the Senatorial contests in the zones across party lines, where incumbents and contenders are expected to slug it out. Already, the leadership of the two leading political parties in the state, People Democratic Party (PDP) and All Progressive Congress (APC) are having sleepless nights about the best strategies to adopt to ensure victory in the high-stake electoral battle ahead. But while Chief Cyril Ogodo and Prophet Jones Erue-led parallel APC executives remain at loggerheads, PDP is up and doing trying to heal wounds from the primaries. The Guardian has been examining the report cards of incumbents and weighing them against what the newcomers are bringing to the table in terms of service experience and the strength of their parties in their respective constituencies. For Delta South, the incumbent Senator, James Manager, seems to have a lot on his plate with former governor, Dr. Emmanuel Uduaghan, with the Itsekiri and Isoko insisting that the Ijaw have had more than their fair share in the tripartite arrangement. Of note is the fact that APC continues to wax strong in the zone. At the Isoko Federal Constituency, another battle royale awaits Minority Leader, Hon. Leo Ogor, who is being challenged by another frontline politician, Joel Onowakpo. 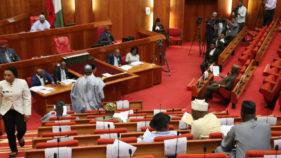 Then in Delta Central Senatorial District, Senator Ovie Omo-Agege, whose APC’s parallel primaries also produced Olorogun O’tega Emerhor would have to contend with a battle-ready Evelyin Oboro-Ojokoro, who clinched the PDP ticket. Also, former spokesman to former President Goodluck Jonathan and former Managing Director of News Agency of Nigeria (NAN), Olorogun Emma Niboro, who claims to be the validly nominated candidate for Ughelli North/South / Udu Federal Constituency will slug it out with Chief Solomon Awhiniwhi, who is set with little or no opposition, except APC finds a way round its crisis before the election. But on the whole, Delta North seems to be the most formidable with the incumbent, Senator Peter Nwaoboshi (PDP), who will run against Doris Uboh Ogunkoya, former member of House of Representatives for Ika Federal Constituency, and now APC Senatorial candidate for Delta North. She has also a bitter rivalry with Chief Mrs. Alli Kpakpando, which clash led to the death of two during their primaries in Asaba. Prince Ned Nwoko, a former member of the House of Representative is also in court challenging Senator Nwaoboshi’s victory at the primaries, just as Hon. Ndudi Elumelu, who trounced the incumbent House of Representative, Hon. Onyemachi Mrakpor at the primaries, is still in court trying to resolve issues with Mrakpor. A former Majority Leader in Delta State House of Assembly and two-time member of House of Representatives, representing Ndokwa/Ukwani Federal Constituency, Hon. Ossai Ossai, will clash with Mr. Paul Odili, a former communications adviser to a former governor of Delta State. Another major contender is Sebastine Okoh, the House of Representatives candidate, Ika Federal Constituency on the platform of APC. His foray into politics began in 2014 when he worked closely with incumbent governor, Dr. Ifeanyi Okowa, during his gubernatorial campaign. Former Delta State governor, Uduaghan, has not hidden his determination to make it to the Senate this time around. He has dispelled the largely held view that former governors see the Senate as their retirement home. 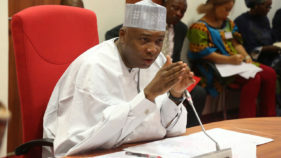 He said: “There are former governors, who are active in the Nigerian Senate. Whether or not a senator is active is entirely based on his level of understanding of the mandate from his people. The Senate is not supposed to be a place for political neophytes. As it is in America and the United Kingdom, the Senate is an assembly of experienced politicians, men and women, who have distinguished themselves in the military and other careers in service to the nation. Uduaghan said his mission to the Senate would benefit the people of Delta South in many ramifications, stressing: “One of the areas I would look to sponsoring a bill for is a law regarding the security architecture of the Niger Delta. With that security challenges will be very much reduced and oil theft and vandalism would also be very much reduced. I would also look to propose a law that would give Itsekiri, Isoko, Ijaw and some of the Urhobo we have in Warri South (all of Delta South) five percent ownership of companies and industries in their area. “With the funds at their disposal, they would be able to alleviate poverty through agrobusiness and agro-processing, and collaborate with other communities to execute projects without waiting for Abuja or Asaba. “The menace of illegal refineries dotted across the Niger Delta has caused adverse environmental damage to lands in my district. Whenever the military confiscate crude oil boats (known locally as Cotonou boats), they set them ablaze immediately because they do not know what to do with such illegal products. For him the 2019 election would come to the wire with political clout possibly being the defining factor for the contestants. He maintained that all Delta Southerners are willing to turn in their votes for APC. Uduaghan stated: “In the last few years, a lot of people have moved to APC from other political parties, especially PDP. I have been performing my John the Baptist role secretly and effectively. The Isoko, Ijaw and the Itsekiri have agreed that there should be a change of baton at the Senate this time around. 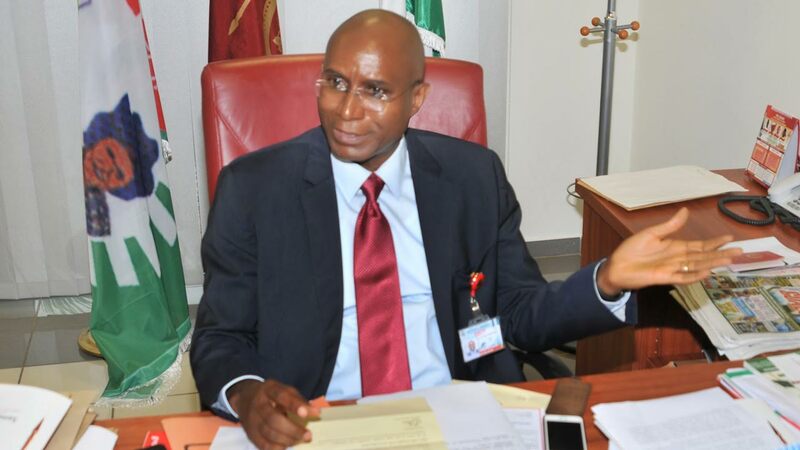 On his part, Senator Omo-Agege believes that he is the man to beat for Delta Central and recalled, “When we campaigned in 2015, I made a promise to the Urhobo people that if given the mandate to represent them in the Nigeria Senate, we would raise the profile of Urhobo in the politics of state and country. Four years later, I’m proud that we have kept our promises and upheld our part of the bargain. “We now have a reason to be confident that Urhobo will reclaim its pride of place in national politics and vote massively for APC at all levels from the House of Assembly to the Presidency. We have attracted over 40 federal projects to Delta Central. Of these projects, 24 projects, representing 55 per cent, have been completed, while the rest are either ongoing or awaiting release of fund. Noboro defeated a former Attorney-General of Delta State, Mr. Andrew Orugbo (who has decamped to PDP), Hon. Efeni Akpovoka, Rev. Francis Waive and Dr. Rukevwe Ugwumba, in a primary election supervised by the Chief Cyril Ogodo-led executive of the party. 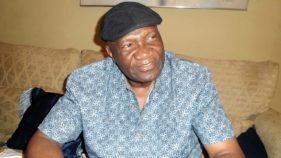 “Prophet Jones Erue, a factional Chairman who supervised a parallel primaries with fake delegates, lacked constitutional powers to do so because he had been restrained from parading himself as the chairman of the party in Delta State by various courts of competent jurisdiction,” campaign organisation said, even as it urged the national leadership of the party to ensure that the ongoing crisis does not affect the party’s chances in the 2019 election. While acknowledging that the state has been dominated by PDP for many years, she noted that other parties, such as DPP, Accord Party and now APC, have been budding gradually over the years. “With the emergence of some heavyweights in Delta North, such as former Speaker Victor Ochei, former PDP deputy chairman South/South, Dr. Cairo Ojoughoh, Prof. Pat Utomi, myself and numerous others were encouraged to join the party. I can assure you that APC is very strong on ground; we have tremendous following and we are ready for the upcoming elections,” she added. Odili is daring the incumbent, Hon. Ossai, for the seat of Ndokwa/Ukwani Federal Constituency at the House of Representatives. Odili said: “We are an oil-producing constituency, but in terms of recognition in Abuja and elsewhere, there is zero manifestation of that in the people’s lives. I challenged our representative to contradict me with facts and figures. Across Ndokwa/Ukwuani Federal Constituency, what you see is impoverishment, neglect and pain. There is nothing to cheer about. And to suggest that those that have done nothing to justify their mandate should be rewarded with another tenure in office, under whatever guise, is unacceptable and must be rejected. Rational thinking does not lend itself to that sort of thing. And in this instance we are going to see that we send packing the incumbent in 2019. But pooh-poohing Odili’s charges, Osai reeled out what he called his numerous achievements in his primary assignments, which are lawmaking, attracting democracy dividends to his constituency and ensuring that his constituency is well represented. These are aside from building bridges across party lines that earned him an award by President Muhammadu Buhari on The Ease of Doing Business. On the areas of human capital development, he also listed several schools that have benefited from his scholarship schemes, renovations and supplies of double desks as well as the Maritime Polytechnic in Kwale.